Here you can choose Rami Levy Mobile prepaid SIM Card with plan for your needs. If you already have an Rami Levy SIM card and you only want to renew your plan please go to recharge Rami Levy Mobile Prepaid SIM card plan. 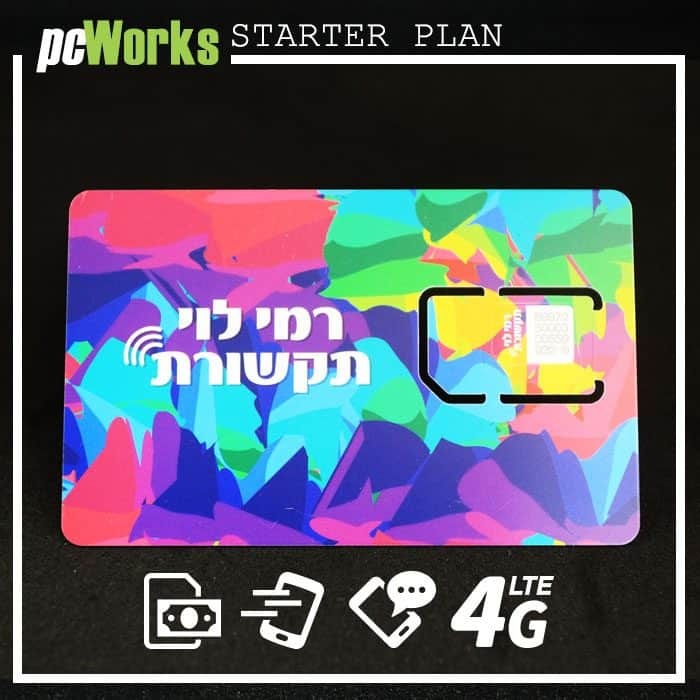 We provide an online platform to buy a Rami Levy Mobile Prepaid SIM cards, we work with all leading telephone operators in Israel and we are Official Distributor of Rami Levy Communication. Don’t forget to check or loyalty reward. Customers need to contact their service provider to ensure your phone is not locked to International SIM use. 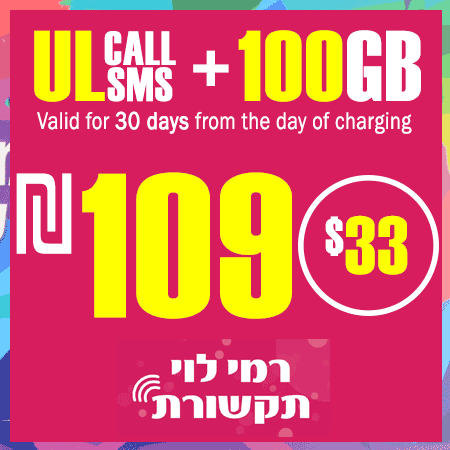 Unlimited usage from Israeli providers are restricted to a fair and reasonable usage by an average individual. The most cheapest mobile network provider in Israel. 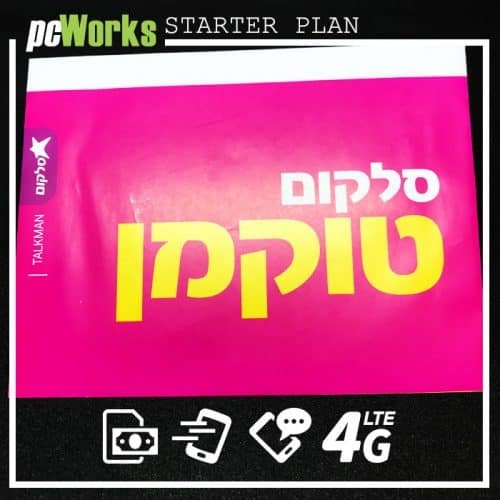 The communication company Rami Levy provides high quality connection Israeli Prepaid SIM Card and working very good in all Israel. 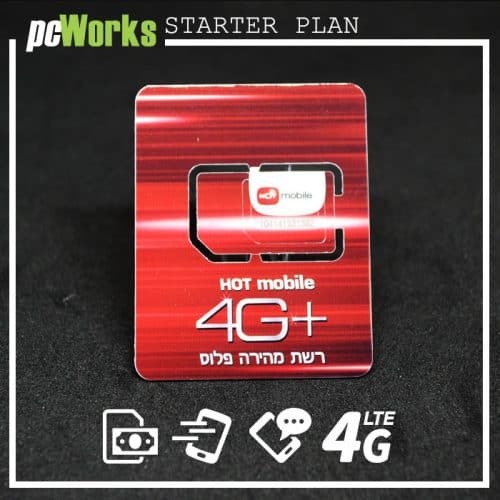 Prices in this table are for starter plans of Rami Levy mobile, for recharging prices please visit recharge Rami Levy web page. Prepaid sim cards allow us to pay your cell phone bill even before it is used, thereby controlling our expenses for calls and surfing on mobile phones. Most of the communications companies now offer prepaid cards on different routes and at different prices. Let’s see what Rami Levy Mobile offers. Prepaid cards are divided into two types: The first type is the SIM card, which maintains the same phone number and can be loaded with different amounts of money if necessary. The second type is a one-time SIM card, charged in advance for a certain amount, and after use, the SIM is thrown away and the customer buys a new one. Both types of cards can be purchased in cash, without the need for identification, and without any obligation to the communications company. When the amount of money charged on the card is over, you can continue to receive incoming calls and SMS messages, but you can not place calls or send messages until the card is recharged. SIM Card that has not been used for a predetermined period of time is out of use by the company, and when you purchase a prepaid card it is important to ascertain in advance how long it is valid, since the times vary from company to company. Prepaid cards have existed since the early 1990s, but only in recent years has their use expanded in Israel as more and more companies began offering such cards. 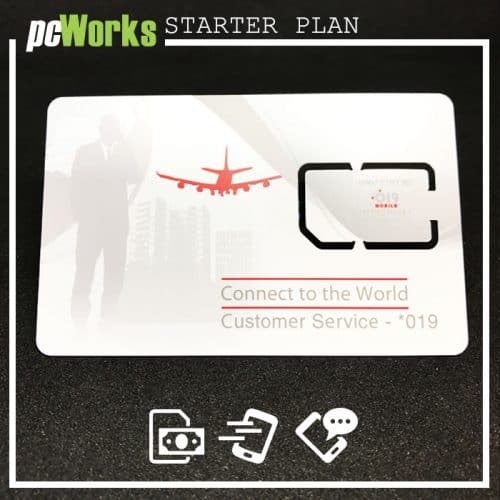 The prepaid cards are very suitable for parents of teenagers who want to limit their use of mobile phones, students, foreign workers and anyone who does not have a credit card. One-time tickets are less useful on a regular basis and are more suitable for tourists or businessmen who arrive in Israel for a limited time and are interested in a local SIM card. The great advantage is, as stated, the ability to control mobile expenses, as well as the possibility of enjoying mobile services even if you do not have a credit card. On the other hand, the rate charged for calls on prepaid cards is still relatively expensive for a minute, and not every card offers international calls or content services from the communications company. If you know in advance that you need such services, check which SIM card is relevant to you. Rami Levy’s communications company is a subsidiary of Rami Levy Hashikma Marketing, and has been providing mobile phone services since the end of 2011. The company uses Pelephone‘s existing infrastructure. 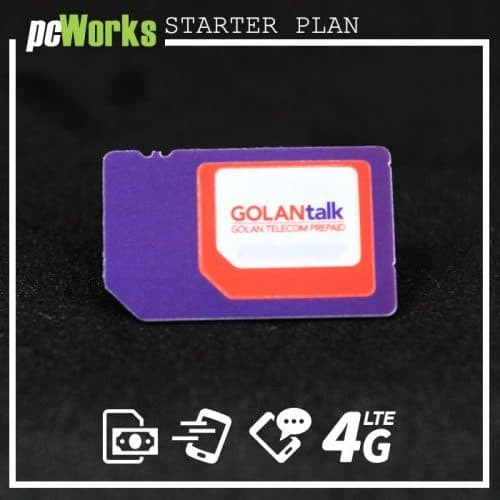 The company promised to create a revolution in the cellular market, and when the company’s prepaid program was launched it was significantly cheaper in the price of a call minute than the competitors, by 60% -70%, on calls and text messages. The problem was that within a short time Rami Levy’s prepaid cards disappeared from almost all points of sale, except Sonol’s gas stations, and users had to pay with a credit card on the company’s website, making the card irrelevant for those who did not have a credit card. Those who still want to enjoy the low price per minute can enjoy a variety of possible routes at prices of 28 NIS to 80 NIS, the volume of calls and surfing is variable. 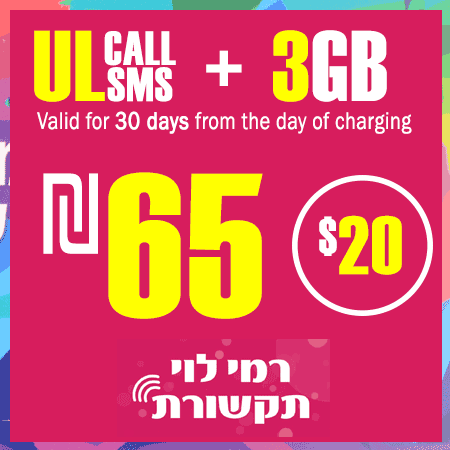 It is important to note that most of the packages offered by Rami Levy’s prepaid program are valid for only one month or until the amount charged is completed, whichever comes first. Rami Levy’s prepaid cards can be emphasized in two ways: loading a package or charging money. When you buy a prepaid package, the price is known in advance for the next thirty days, depending on the terms of the package purchased. When you charge money, you determine the amount charged on the reduced card depending on what you use on your mobile phone. The prices charged for money are slightly higher than when purchasing a package and there are also monthly subscription fees. I always want to get the best possible quality from any service. At the end of the day, it’s my money that I am paying so I want to receive the best value for them. That being said, PC Works did impress me with their ease of use and how simple their service is. They also have a lot of helpful articles on the site that will help you stay away from any unwanted customer support calls. I am glad I chose to get the SIM card services from them, as they are a good and reliable business with a friendly staff. I liked their unique approach and I also appreciate the fast replies. Usually, you don’t really get this sort of value and quality at a low price, but PC Works impressed me with the high levels of service that they delivered. I am astonished by how good the results are! Excellent price and fast shipping. 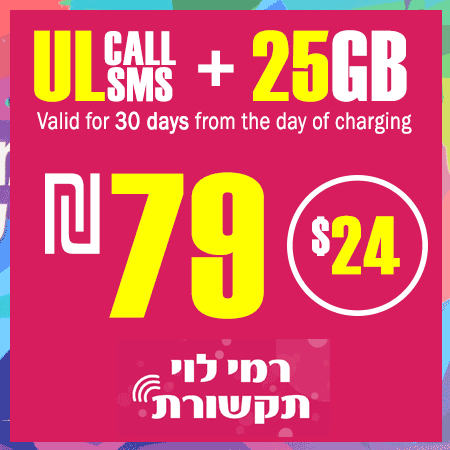 Rami Levy Mobile currently offers the cheapest prepaid sim cards in Israel. 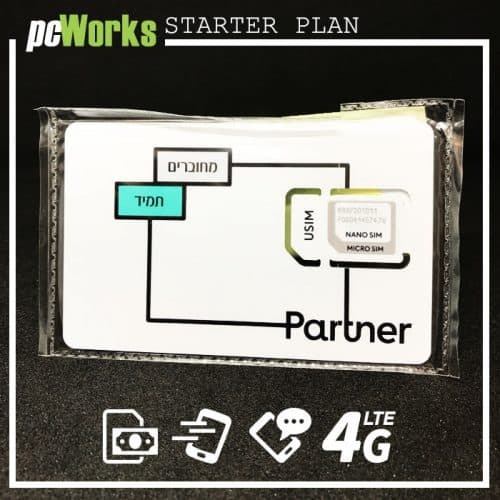 We at pcWorks recommend them.